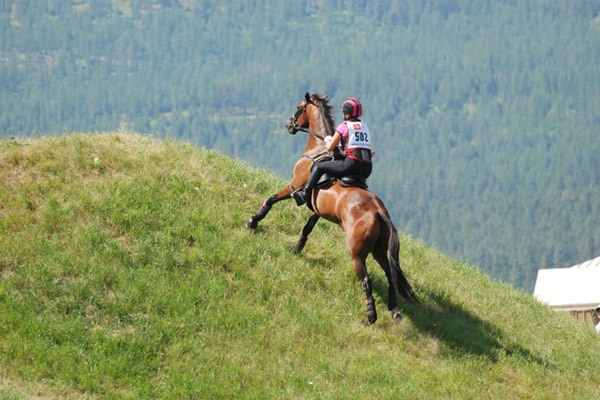 The Event at Rebecca Farm takes place this weekend in Montana. And I sure wish I could be there! For the sweeping vistas and mountains, yes, but also because this competition is one of the United State’s World Cup Qualifiers. Mara Dean won the last US World Cup Qualifier, who will win this weekend? I can’t predict that but I do predict a good time what with these incredible exhibitors, a slew of big name riders including Jennifer Wooten DaFoe, Buck Davidson, Sharon White, Max McManany, and Phillip Dutton (and lots more), and one seriously incomparable view. If you can’t make it but wish you could you might want to take a look at this short video, walk the cross-country course, see what The Flathead Beacon has to say about this “world stage”, have a peek at PRO’s insider perspective, or shop online. Though, I can’t tell if that makes me feel better or worse seeing as it only makes me want to go more! If we can’t be there to enjoy the fresh, mountain air and dashing event horses we’ll have to settle for following the results online or tune in for live streaming on Saturday and Sunday on White Fish Radio. If you want to get your feet wet you might also check it out now for some interviews that they’ve already completed. Well, one way or the other, it will be a big weekend at Rebecca Farm. Good luck to all the competitors and fans. If you’re there let us know how it goes! Hey, I'm Courtney and I write Three Days Three Ways: your vip ticket to go behind the eventing scenes. Meet your favorite Advanced Rider, find out if they’re single (fingers crossed! ), get tips from top grooms, or learn what makes the sport tick.